Over the past few years Samuel Mello Medeiros has been developing a new piece of hardware which is capable of transforming an old SLR camera into a digital SLR, combining analogue lens quality with the power and convenience of digital photography. The hardware is powered by the awesome Raspberry Pi Zero mini PC and takes the form of a module which is attached to the base of the retro camera. Watch the demonstration video below to learn more about its capabilities and features. Can you believe it is now possible for your old analog camera to make digital photos and videos? Well, with I’m Back you can shoot a video with an old camera of the 50s. Simply plug in I’m Back to your old camera and you’re ready to go. Think at what you can do with the lenses of your analog camera. 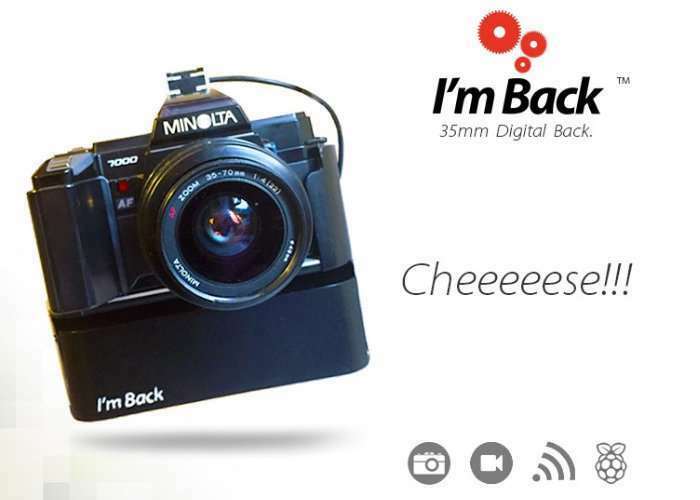 With I’m Back you can get digital images and video with an “old times” flavour…. If you want to bring back to life the warm and soft shades of colors of vintage cameras, I’m Back is for you. I’m Back is now available to back via Kickstarter with early bird pledges starting from just $35 and delivery expected to take place during Apri 2018. For full specifications and more information jump over to the official Kickstarter campaign page via the link below.